In our previous article we highlighted some of the most prestigious areas to live in Sotogrande, focusing especially on the coastal area around the Real Club de Golf Sotogrande. Turning inland, we now leave the beach and head a few kilometres west to Almenara, the hillside alternative to Sotogrande’s iconic ‘Kings and Queens’ environment. One leaves the American country club environment behind as you cross the motorway and follow long tree-lined roads up towards the Club de Golf Almenara – one of five courses in Sotogrande. Just about 5 or 6 minutes later you arrive, having noticed a subtle change of scenery marked not only by hillier country but also by seasonal trees and an altogether more typically Mediterranean setting. Though one of the more recently developed areas, originating from the early 2000s, Almenara has very quickly become the other grand address in the area. Much hillier and a little more cumbersome for construction than the flat land around the Real Club de Golf Sotogrande, it offers large plots with fantastic views across a series of golf courses over to Sotogrande, the sea, Gibraltar, North Africa and the open countryside all the way to the mountain ranges further inland. On a clear day you can see all along the coastline to Marbella, Málaga and the snow-capped mountains of the Sierra Nevada. But there is more to the appeal of Almenara. Since the land is on average a third of the price of that at ‘King and Queens’, plot sizes tend to be as large, allowing for grand modern villas with every imaginable mod con to be built here. More international in its make-up, the area appeals especially to those who live here year-round and commute to work, have children in the nearby Sotogrande International School and don’t mind a five-minute drive to shops and restaurants but above all want to enjoy and exceptional view from their home. Of course there is no right or wrong. People have always chosen different areas according to their preferences and priorities, and will continue to do so, but between these two top addresses it seems that fulltime residents tend to favour the seclusion, views and large private homes of hillside Almenara, while the original location by the beach remains preferred among those who come here during the summer months. 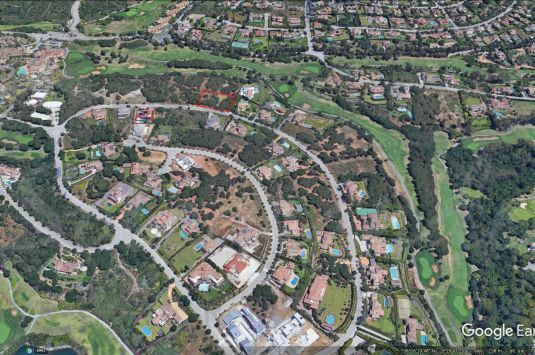 That the area around Real Club de Golf Sotogrande offers pretty serious bragging rights based primarily on location is clear from the fact that some of Spain’s leading families and top executives and entrepreneurs from across Europe have chosen to buy and build their family summer holiday homes here. 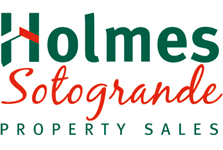 Today the tendency is for properties in this area to be purchased for refurbishment, re modeling and in many cases knocked down to build new in their place. The latter has also seen a revival of the modernist architecture that featured so strongly among the earlier summer villas built here in the 1960s and 1970s, though it is only on few occasions that largess of Almenara villas is equaled in scale and amenities but at as much as twice the cost– confirming that in Sotogrande a choice between seaside and hillside is as much about lifestyle and self-image as it is about practical locations and price.